On Sanjana: lace bra, from Marks & Spencer; shirt, from Tommy Hilfiger; denims, from Zara; necklace, bracelet, both from Accessorize. 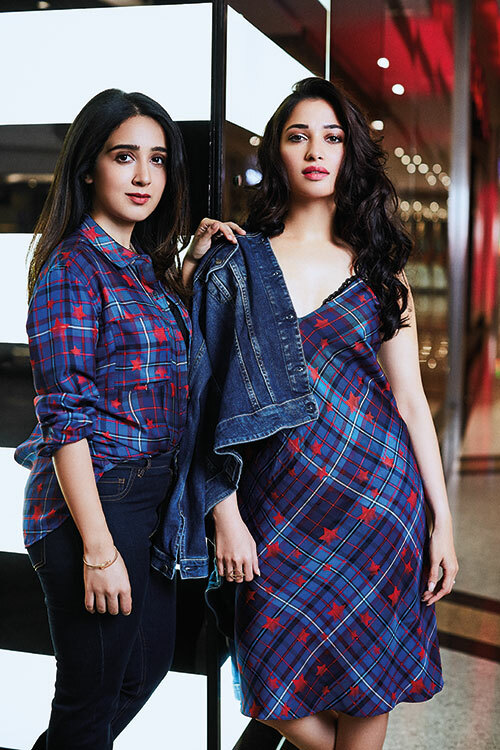 On Tamannaah: lace bra, from Marks & Spencer; slip dress, from Tommy Hilfiger; denim jacket, from GAS; ring, from Aldo. 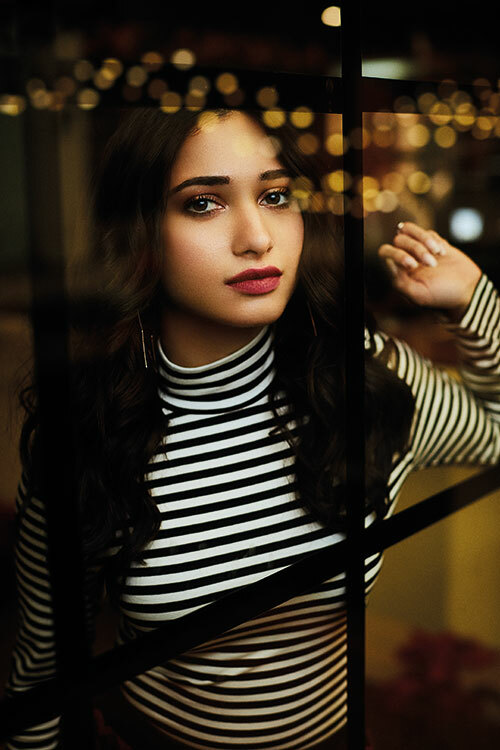 A self-confessed perfectionist from head to toe, Tamannaah admits to having always nurtured a penchant for acting. Having worked in the Tamil, Telugu and Hindi film industries, she has completed over 50 films and has rightfully earned her place in the memories of many. A dance enthusiast who dreams of starring in an out-and-out dance film, in between posing and preening for the camera, Verve catches up with the girl who loves make-up and discovers more about her journey, working in various languages and what awards mean to her. White shirt, sequinned skirt, both from Zara; rings, from Aldo. On Tamannaah: lace bralet, velvet trousers, both from Vero Moda; blazer, from H&M; heels, from Steve Madden. 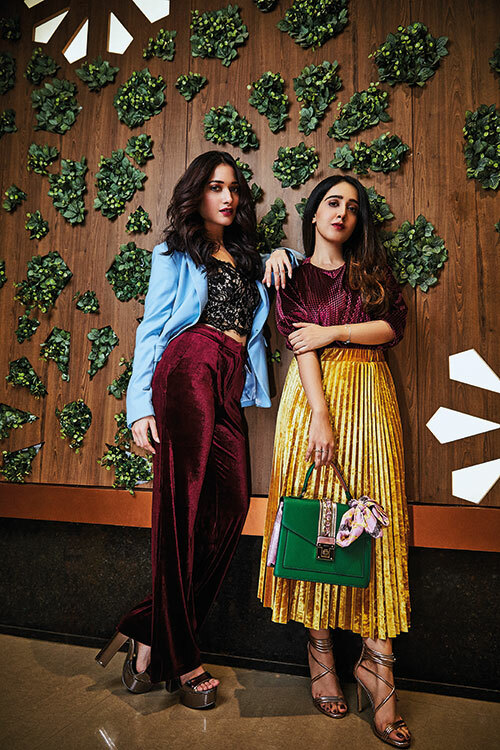 On Sanjana: velvet top, from Zara; pleated skirt, from Marks & Spencer; bracelet, from Accessorize; rings, handbag, both from Aldo; heels from Steve Madden. On Tamannaah: turtleneck, from United Colors of Benetton; pants, from Zara; star earrings, from Aldo. On Sanjana: turtleneck, from United Colors of Benetton; dress, from Forever 21; earrings, from Aldo. Turtleneck, from United Colors of Benetton; pants, from Zara; star earrings, from Aldo.